Sustainable Cities International (SCI) works with cities around the world to bring about change towards urban sustainability. 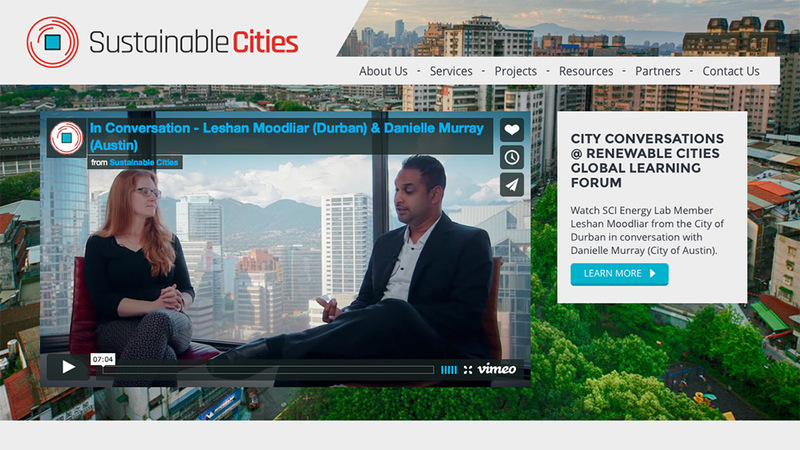 The new website of Sustainable Cities is built on WordPress and use a custom theme. Some requests of the client were a website that is easy to navigate, a simple modern look and a responsive layout. All the main sections of their website can easily be modified through the back-end, see below some examples. *Note that I don't manage the content of the website. Sustainable Cities needed a new branding so I hired a graphic designer and did the art direction to be sure that the new logo and branding would go in the direction I wanted. 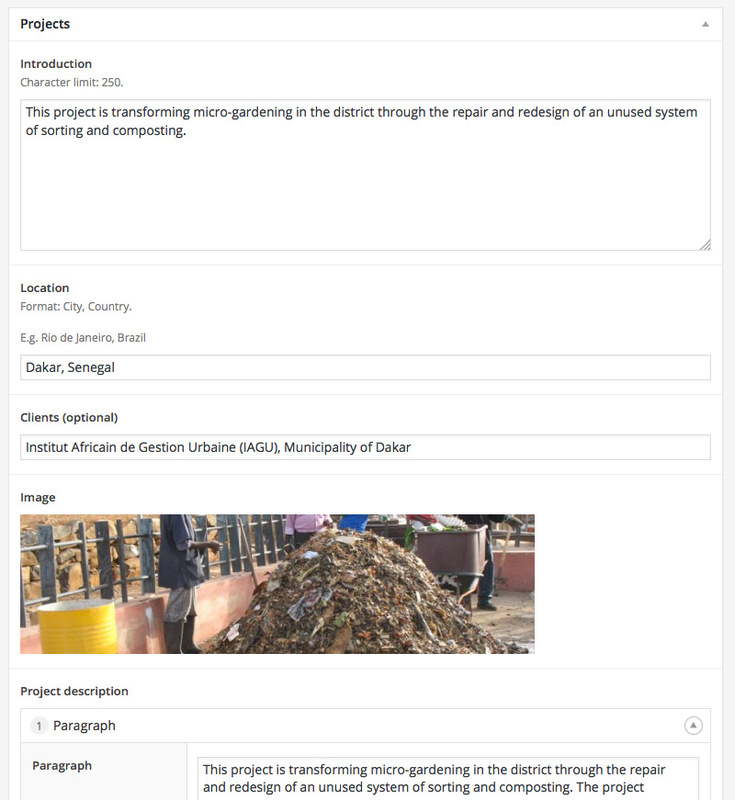 The project module makes it easy to create a new project. 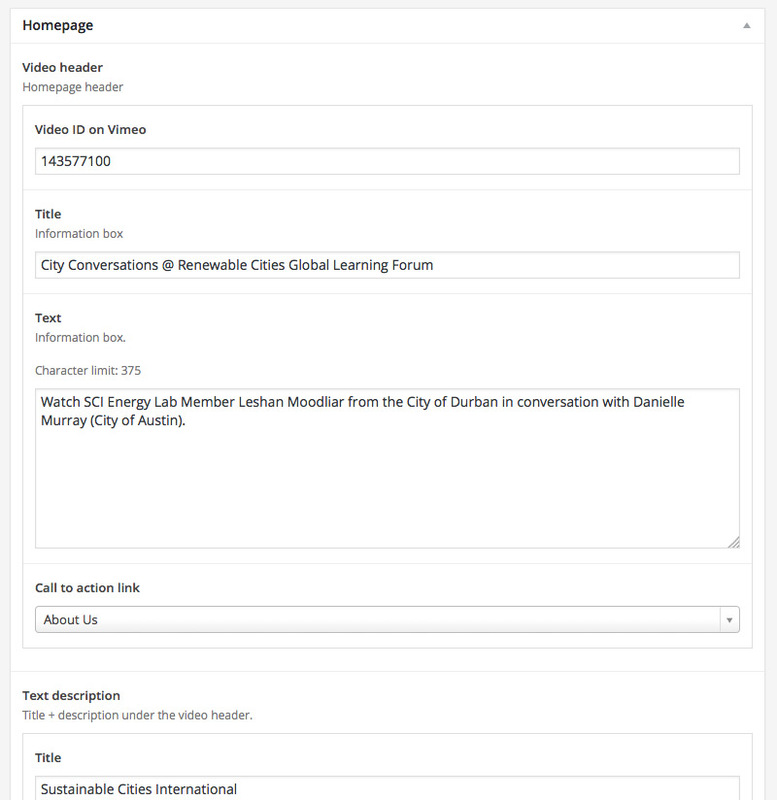 The homepage back-end allows the administrator to put a new video and change the description. 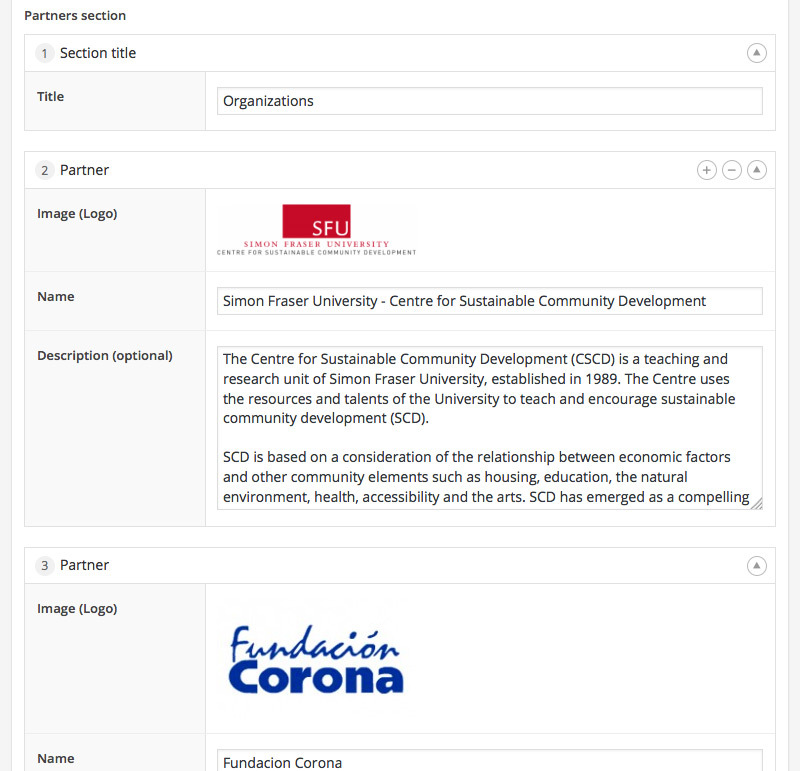 In the partners' page, the administrator can add two different sections: a title to start a new group of partners and actual partners below each title.